1. Mix your chia seeds, almond milk, peppermint oil, matcha powder, and maple syrup in a bowl, and whisk until everything is incorporated. 2. Plate in a container in the fridge for 30mins- 1 hour. 3. Once ready, remove from fridge and whisk again to make sure there are no clumps. If you pudding is too thick, at a bit more almond milk. 4. In a blender, add your banana, Du Chocolat, almond milk, and pulse until smooth. 5. 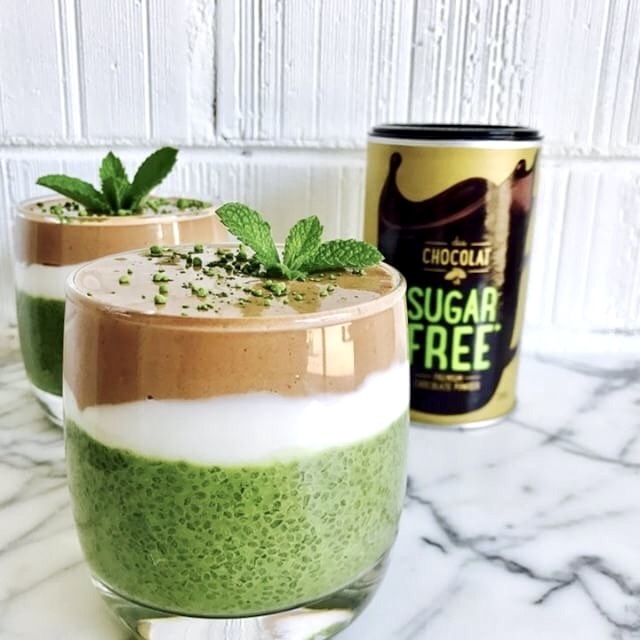 Layer your chia pudding, yogurt, and chocolate smoothie into a glass jar to-go and enjoy!